As the Kresge Foundation underwent a transformation starting in 2006, from funding construction projects to social justice, the city-focused environment program that emerged was a unique take from a major funder. 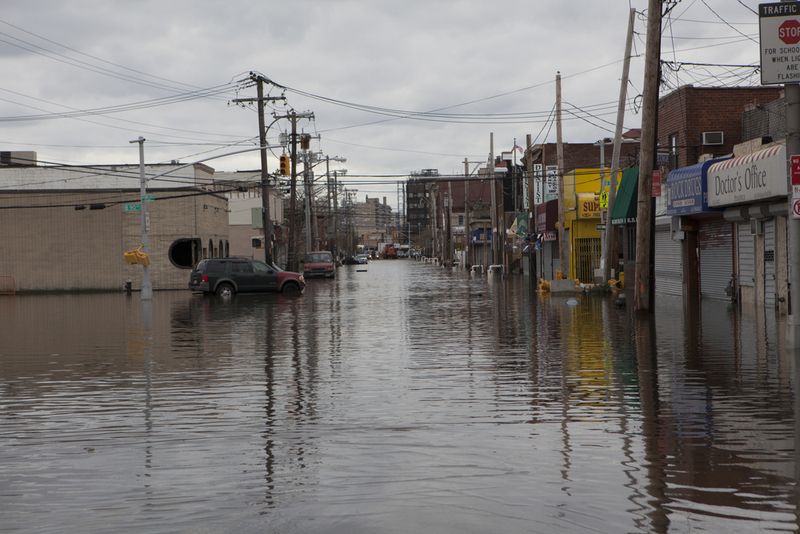 Fast-forward to now, and Kresge finds itself right at the leading edge of the climate fight, a battle that is increasingly led in cities and in communities most vulnerable to climate impacts. Kresge is on a mission to demonstrate that environmental philanthropy can get grassroots funding and equity right, and on a large scale. It’s running one initiative, for example, devoted entirely to backing community-based groups across the country to make sure climate resilience planning reflects the needs of low-income residents. With its focus on cities, its emphasis on vulnerable communities, and its unique take on resilience, Kresge’s environment program doesn’t look quite like any other large green funder out there. But as many in the environmental community seek to exorcise the field’s historic homogeneity in a political era that demands it, the foundation’s ongoing transformation is more relevant than ever. With $3.8 billion in assets and approaching a century of history, Kresge is still a large and wealthy institution, and its embrace of equity and racial justice is very much a work in progress. But as the environment program’s leadership team explains, it’s something to which they’re committed for a combination of philosophical, practical and strategic reasons. For Kresge, the decision to focus on climate change by way of U.S. cities was part of a foundation-wide decision in 2012 that made expanding opportunity in cities the core of its mission. That move was part of the larger transformation the Troy, Michigan-based foundation started in 2006 under new President Rip Rapson—moving away from its longtime practice of funding mainly challenge grants for big capital projects. This was a remarkable overhaul for a large, longstanding philanthropy to undertake. For the environment program, the outcome of this programmatic shift was a focus on climate change, with emphases including building efficiency, adaptation and energy, and then in 2012, moving exclusively to cities. Of course, there have always been good reasons to focus on cities when it comes to climate change, including the fact that they produce most of the country’s carbon emissions. It’s also where the impacts of climate change will potentially harm large concentrations of people. “Mayors know that when something bad happens, they’re the ones that are accountable, so I think there is a heightened degree of interest at the local level for understanding what they may face,” says Lois DeBacker, managing director of the environment program, who joined Kresge in 2008 from the C.S. Mott Foundation. Environmental and local funders have been eyeing cities as climate leaders in recent years, with greater urgency once the outcome of the 2016 election derailed any federal progress. As a result, we’re seeing large sums headed to cities these days, as municipal leaders are trying to step up on both mitigation and resilience. “There’s a real opportunity right now to support the leaders who have made these strong commitments, publicly and otherwise, to move toward carbon neutrality, and to move toward resilience in ways that really center equity and public benefit,” says Jessica Boehland, who heads up Kresge's energy work. The foundation currently defines its environment program as supporting climate resilience in cities. The concept of resilience itself—that places must gird themselves for approaching shocks and stresses—is one that Rip Rapson and Kresge have been driving in philanthropy since early on. The foundation does, however, fold in carbon emission reductions as part of its definition of resilience, so the current program funds mitigation efforts. A newly added focus on water systems also reflects a growing trend in philanthropy, in response to quality crises in places like Flint, Michigan, and scarcity concerns in the American West. Rather than picking one emissions reduction path, Kresge bends its strategy based on the technical, political, and social circumstances of each city it works in, funding a mix of efficiency, solar energy, transportation and other strategies. The lack of a clear pathway in many cities toward emissions reductions means that there's room to shape how such work goes forward to include low-income communities, Boehland says. Just like the transition to clean energy, the transition to more resilient cities doesn’t inherently benefit low-income people. There’s a real danger that places will shift to these new paradigms in ways that worsen poverty, and that concern is at the forefront of Kresge’s program. While equity is a huge topic in philanthropy right now, this level of emphasis on low-income communities and grassroots strategies is not as common as you might think in the context of environmental funding. We have seen some serious grassroots and community-focused climate action funded by smaller grantmakers like Surdna and the Chorus foundations, and some donor circles and collaborative funds. And some larger funders are beginning to take steps in this direction, perhaps seeing power-building opportunities around moments like the Standing Rock protests and other organizing wins. For Kresge, this approach makes sense for a number of reasons. Aside from adding political muscle, communities that stand to lose more in the face of climate impacts also bring different, often deeper perspectives to the issue. That’s a big factor behind the foundation’s Climate Resilience and Urban Opportunity initiative (CRUO), launched in 2014. Kresge’s funding a cohort of community-based nonprofits across the country to engage low-income communities in climate resilience planning. “What we’re attempting to do is not only directly impact and influence what’s happening at the local and state level, but then hopefully we can begin to elevate and move forward a different type of practice around what looks different… when you center equity into climate planning,” says Shamar Bibbins, who took over CRUO following a stint at the Van Jones-founded Green for All. Rather than funding climate or environmental groups that have decent analyses of community and equity issues, CRUO flipped the criteria and recruited those primarily boasting solid local track records and connections to communities first, then funded them to crank up their climate work. The initiative provided an original cohort of 15 grantees with $660,000 each over three years, and another $4.2 million to six additional grantees for field building and other aligned work. One highlight Bibbins cites is the Leadership Counsel for Justice and Accountability, a grantee in Fresno, California, that engaged with the state’s distribution of millions in cap-and-trade funds for climate-related projects. The state originally focused heavily on “usual suspects” of downtown core projects around transit and development. The Leadership Counsel and other local nonprofits were instead able to steer nearly $38 million in funds toward Southwest Fresno, a disadvantaged and heavily polluted neighborhood. They also pushed for strong community engagement and development of a displacement avoidance plan to protect existing residents. Bringing community or justice-focused groups to the table also brings a broader frame to climate change, viewing it as one of multiple entangled and systemic problems, the way most people actually experience it in real life. “Some of the equity-focused groups have a stronger analysis around those root causes. And also, I think a really important differentiating factor is that the justice-focused groups are looking at the historical backdrop… of inequity that exists, and explicitly acknowledging that,” DeBacker says. None of this is to say that Kresge has the question of equity in philanthropy or the environmental movement all figured out. NCRP’s 2015 report on Kresge’s progress, while positive overall, did point out areas where the foundation needed to keep working. For one, it encouraged the foundation to strengthen its explicit framing of racial justice. “In the past, and I think to some extent still, they’re most comfortable using an income and wealth frame,” says Ranghelli of Philamplify. While not part of the environment program, Kresge’s also faced criticism for the way it has exerted control in past local funding in Detroit. Another huge challenge facing Kresge and all funders working to revitalize cities is gentrification. As places become greener, more livable, with better infrastructure, prices go up and low-income families are pushed out. One close-to-home example of this tension is Detroit’s new QLine streetcar (also not in the environment portfolio), which Kresge and Rapson were instrumental in planning and funding. Since QLine launched, it’s had underwhelming ridership and has been criticized as “transit gentrification” that serves real estate and business more than transit riders by gentrifying neighborhoods. Kresge provided IP with a response to this criticism, citing significant cash ticket purchases that suggest transit-dependent Detroiters are riding. The QLine’s operator has also done outreach to build up consistent ridership from the predominantly black North End neighborhood, which lies just beyond where the streetcar’s route ends, and the surrounding area, according to Kresge. The foundation also maintains that the QLine’s fundamental intent was to anchor a regional mass transit system, something Kresge continues to support. Part of what the foundation is trying to do is deepen the level of understanding of issues like these in the broader field. The foundation is about to launch an equity training program, available as an option for grantees, and formed at their request. “We couldn’t make assumptions that any of our grantees had an analysis around racial equity. We felt like it’s a prerequisite, and so we wanted to meet that need as well,” Bibbins says. While it’s an important part of the environmental community, another thing that sets Kresge’s program apart is the fact that the more traditional NGOs that dominate many green portfolios make rare appearances in Kresge’s own green giving. That’s not a snub, DeBacker says, just a side-effect of their priorities. But there is something refreshing about this mix of grantees in a field often falling short on diversity and top-heavy in terms of funding distribution.